It seems Killer T has won hearts of several UK fans. 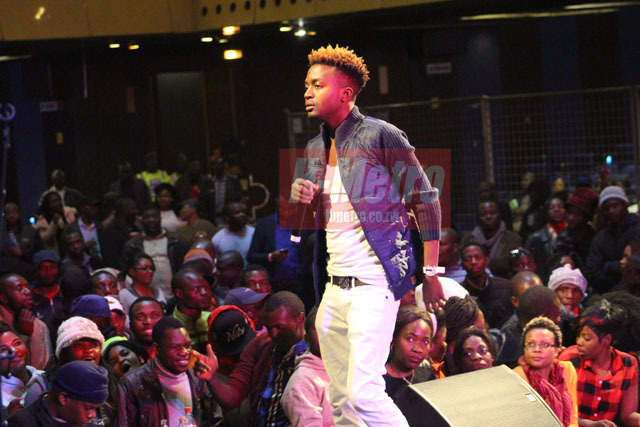 The dancehall sensation who recently launched his third album entitled Mashoko Anopfuura, is expected to make a return at the annual UK Cup Clash set for April 28. This will be the second consecutive year he will be perform at the event and third time in total. This year’s event that has been set for Dryden Social Street (ex-Street Life) marks the 13th anniversary of the event. “It’s so humbling to know that the UK fans want Killer T at the same show for second year in a row. “This will be an opportunity to have a UK launch of the new album that we just released. “Thanx to the promoter King Alfred and the fans for believing in us and always showing love, Killer T is more than ready for the show. “He is good artiste and performer, we look forward to yet another exciting event also especially that he just came from releasing another hit album. “Special thanks go to our sponsors Cassava Remit, CMG, Rokafellaz Promotions, Pamuzinda, TedSpot Care, Tann Law Solicitors and Madzimai Akatendeka,” he said. Special guest deejays at this year’s bash include Bodyslam boss Simba “DJ Trouble” Chakare and DJ Fanta Fire from Dubai. The UK Cup Clash sees deejays categorised between Afro Beats and Dancehall battle each other. This year’s event will see nine deejays battle against each other.